Elchin Musaoglu [Elçin Musaoğlu] has come to fiction filmmaking from the poetic and realistic tradition of documentary films. As a rule, he investigates in his films the behavior, the reaction, and the inner world of a person living in difficult social conditions and a complex political reality. His special focus is on the destiny of children and teenagers who experience difficulties with communication, and who feel isolated in society. His television documentary film A Grain of Sand (Peschinka, 1997) deals with minors serving prison sentences in a children’s penal colony. In the first frames he shows a boy walking along the railway tracks. The boy tries not to go off track and not to lose his balance. In this fragile, helpless state, without support, every minute poses a danger for him to stumble. But he doesn’t lose hope and persistently follows his path all the way to the end. The boy, who has stretched out his arms to keep balance, is filmed from a low angle and resembles the image of Jesus on the cross. With this ambivalent shot Musaoglu generalizes the destiny of the sentenced minors, who serve their sentences for various reasons, and offers an interesting visual symbol. The images—shot through windows and gates, or through wiry, bare branches of trees—never allow the viewer to forget that this is a prison. Throughout the film, the director renders the teenagers’ dreams and aspirations instead of their sins. They appear on the screen against a semi-dark background and share their innocent desires and dreams for the future. In each shot of A Grain of Sand the filmmaker’s love and compassion for his protagonists can be felt. The protagonists of the short TV documentary The Sun and the Cloud (Solntse i oblako, 2000) are also children—children who, during the war in Nagorno-Karabakh, had to leave their native land and now live in a camp, in tents. The life of children deprived of a childhood is explained through the words of one of the protagonists. In this child’s world, the little man looks for answers to the question “what is war?”, “why do people kill each other?”, “what does it feel like to have a home?”; and he tells of the difficulties of life on the gray wasteland, where even the most essential conveniences are missing. Nevertheless, even in those tents the children find a way to be happy and have a good time… As in A Grain of Sand, here too the camera accentuates the faces and eyes of the children with close-ups and gives the viewer a chance to empathize with them and look into their souls. It is therefore not accidental that the protagonist of Musaoglu’s first fiction feature film, The 40th Door, is also a teenager. But before we come to this film, we need to mention Nabat (2014), his second feature made at the studio Azerbaijanfilm, which participated in the Orizzonti section of the 71st Venice Film Festival. Nabat is about an old woman by the name of Nabat who, during the war in Nagorno-Karabakh, remained in her village alone with her sick husband while everyone else left. Although there are no battle scenes in the film and no shots can be heard, the war can be sensed in almost every frame. The director here considers the subject of the opposition between war and the individual, and explores human behavior against the backdrop of war. The protagonist of The 40th Door is the 14-year-old Rustam (Hasan Safarov). The action unfolds at the beginning of the 1990s, when the Soviet Union collapsed and the political system changed; in this new economic, political, public, social and cultural system people were looking for models of existence that corresponded to these changes. Rustam’s teenage life coincides exactly with those rough times. Together with his mother (Gyuliar Nabiyeva) he lives in a settlement 40 km away from Baku; the inhabitants call it the “40th door.” In Azerbaijani fairy tales “40th door” signifies a mystical, mysterious and difficult obstacle, which represents an important threshold in the structure of the fairy tales. This demarcation line complicates the conflict of the hero who has won over the evil giant and released the captives from a castle with 40 rooms, but encounters a further obstacle at the final, fortieth door. In Musaoglu’s interpretation the fortieth door symbolizes the internal “I” of each character, something inviolable. For example, nobody in the village likes Edik (Rovshan Agayev)—a minor character. A dandy, Edik is always dressed in a neat white suit and lives on what he steals from the houses of the rich. But in one episode the director invites the viewer into Edik’s fortieth room. He lives in very poor lodgings, together with his little blind brother, for whom he cares with love and grace. Before us there is a completely different Edik. For Edik, his little brother is a saint; he allows nobody to enter into their poor house and get acquainted with his brother. On the whole, the concept of this figure echoes the intonation of the protagonist in Pier Paolo Pasolini’s film Accattone (1961). Even in terms of texture and behavior, of the gestures, and right down to the costume Edik is the Azerbaijani version of Vittorio “Accattone” Cataldi. Through a poetic, almost sacral narration Pasolini represents the life and dreams, the desire to live by conscience, and the death of the guy who has become a pimp because of financial difficulties. Accattone’s pimping is exposed as a protest against social injustice and the establishment. That Edik robs rich men is also a protest against social injustice. And just like Accattone, Edik invites a sense of compassion rather than condemnation. Rustam’s “fortieth door” is the carpet left by the father and which he considers inviolable. Unable to find work in Baku, Rustam’s father goes to Russia to earn money. One day they receive a message about the father’s death following a knife wound sustained during a fight. After the father’s death—the only person who brought an income for the family—their condition worsens further. Rustam’s mother cannot find work in the village and decides to sell the ancient carpet—the only valuable inheritance from her husband. For Rustam this inheritance has a spiritual value and therefore he begs the mother not to sell the carpet. He abandons school and goes to the city to find work and earn money. In the city Rustam washes the cars of rich people. But soon it becomes clear that he has to pay a criminal group controlling all children who wash cars. Because he disagrees to pay, the members of the group chase him and beat him up. Against this background story, Musaoglu tries to show the sharp social contradictions of the era, especially by drawing parallels between two contrasting sides of Baku (actually even now the situation remains the same): the poorest settlements, such as the “40th door,” and the rich quarters. The social injustice and everyday problems in certain cases reduce the artistic ambition of the film, because it turns into a poster, a social appeal. Or rather, these scenes of social injustice and everyday problems are resolved more through descriptions and dialogues than the protagonists’ psychological situations. In his dreams Rustam often sees how his father is killed; the dream turns him into a ghost. The director shows this dream not as an event that has taken place in the past, but as the anticipation of something that will happen—to Rustam. However, this surrealistic line is not completed and abandoned in the middle of the story. The social history forms a very strong backdrop. Even Rustam’s conflict with his mother is not about different views or between children and parents in the classical sense. Actually, it is a conflict that has arisen due to social problems, because reality does not allow them to choose an alternative life. On the whole, Musaoglu weaves the story by means of small, but important details, and for this purpose he uses metaphors and symbols. After the father’s funeral Rustam sits alone on the grave; on his palm crawls a lonely ant that doesn’t know where to go—like Rustam who, after the father’s death, doesn’t know how to live on. But Musaoglu belongs to those filmmakers who are not cruel to their characters: whatever happens, he protects them from spiritual decline and does not allow them to lose heart. Despite all difficulties, his heroes never abandon their values in such serious situations. The mother’s words addressed at Rustam: “whatever happens, never change” can be read also as the desire of the director. But Musaoglu finishes this destructive episode on an optimistic, almost divine note. In the last shot the broken lanterns radiate light. Probably this is the expression of God’s gracious love for the protagonist: the light of hope and optimism that can be found in all of Musaoglu’s films. In the majority of his films he uses mise-en-scenes, color schemes, and biblical motives from Renaissance painting. In his stories the texture of the space is concise, and there is a minimum of music. 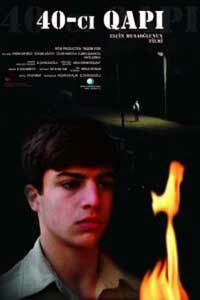 Elements of Italian neo-realism and the poetic foreshortenings of Iranian cinema are typical of his film language.